Please contact Account Manager, Meghan Lynch, for information regarding 2019 sponsorship opportunities at meghan.lynch@prweek.com or 646-638-6017. General Motors Co. its subsidiaries and joint venture entities produce and sell vehicles under the Chevrolet, Cadillac, Baojun, Buick, GMC, Holden, Jiefang and Wuling brands. GM has leadership positions in several of the world's most significant automotive markets and is committed to lead the future of personal mobility. More information on the company and its subsidiaries, including OnStar, a global leader in vehicle safety, security and information services, can be found at http://www.gm.com. 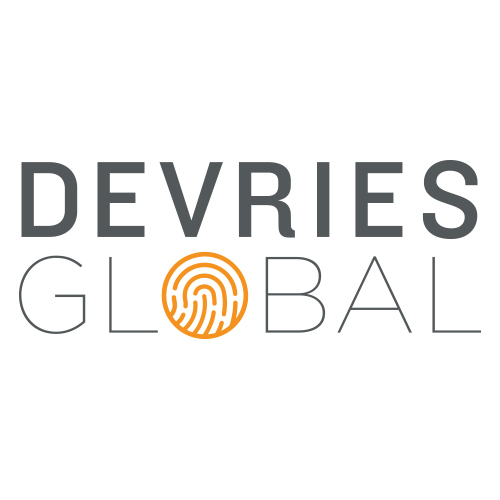 DeVries Global is the first cultural communications agency. We use a cultural lens to problem solve for our clients and deliver seamless capabilities and scale through the fast-moving client-centric environment of a boutique, proudly delivering insight-driven communications solutions for some of the best brands in the world. Our mission is to decode culture to create the influence that propels brands to win, which we do proudly for a purposely curated list of clients out of our six offices around the world. We specialize in providing 360° integrated marketing communications and experience support and excel in driving commerce, elevating brand relevancy and reputation, and driving consumer loyalty. Dow combines the power of science and technology to passionately innovate what is essential to human progress. The Company is driving innovations that extract value from material, polymer, chemical and biological science to help address many of the world's most challenging problems, such as the need for fresh food, safer and more sustainable transportation, clean water, energy efficiency, more durable infrastructure, and increasing agricultural productivity. Edelman is a leading global communications marketing firm that partners with many of the world’s largest and emerging businesses and organizations, helping them evolve, promote and protect their brands and reputations. Edelman owns specialty firms Edelman Intelligence (research) and United Entertainment Group (entertainment, sports, experiential), a joint venture with United Talent Agency. FleishmanHillard specializes in public relations, reputation management, public affairs, brand marketing, digital strategy, social engagement and content strategy. FleishmanHillard was named Agency of the Year at the 2017 North American Excellence Awards; PRWeek’s 2017 Greater China Agency of the Year; PRWeek’s 2014 Global Agency of the Year and 2014 Asia Pacific Network of the Year;and NAFE’s “Top 50 Companies for Executive Women” for 2010-2017. The firm’s award-winning work is widely heralded, including at the Cannes International Festival of Creativity. FleishmanHillard is part of Omnicom Public Relations Group, and has more than 80 offices in 30 countries, plus affiliates in 43 countries. As America's Un-carrier, T-Mobile US, Inc. is redefining the way consumers and businesses buy wireless services through leading product and service innovation. Our advanced nationwide 4G LTE network delivers outstanding wireless experiences to 75.6 million customers who are unwilling to compromise on quality and value. Based in Bellevue, Washington, T-Mobile US provides services through its subsidiaries and operates its flagship brands, T-Mobile and MetroPCS. GCI Health is an award-winning integrated communications agency designed for and inspired by the ever-changing face of healthcare. We revolutionize communications, realistically, for our clients who are navigating the “new normal” across the healthcare spectrum and who want to charge forward in a converging landscape. GCI Health offers clients an accessible senior-level leadership team, a commitment to beating client expectations, and an obsession with anticipating the challenges of an increasingly complex and transforming healthcare communications environment. We are continually recognized for our focus on putting patients at the center of everything we do. With an equally deep focus on multichannel marketing, high science, consumer activation, crisis management, patient advocacy and health education, GCI Health’s ability to deliver results is unrivaled. For more information, please visit www.gcihealth.com. Ketchum is a leading global communications consultancy with operations in more than 70 countries across six continents. Ketchum has been named PR Agency of the Year (and European Excellence Awards) and the winner of an unprecedented three consecutive Campaign of the Year Awards. Ketchum partners with clients to deliver strategic programming, game-changing creative and measurable results that build brands and reputations. For more information on Ketchum, a part of Diversified Agency Services, a division of Omnicom Group Inc. Visit us at www.ketchum.com. Ogilvy has been producing iconic, culture-changing marketing campaigns since the day its founder David Ogilvy opened up shop in 1948. Today, Ogilvy is an award-winning integrated creative network that makes brands matter for Fortune Global 500 companies as well as local businesses across 131 offices in 83 countries. The company creates experiences, design and communications that shape every aspect of a brand’s needs through six core capabilities: Brand Strategy, Advertising, Customer Engagement and Commerce, PR and Influence, Digital Transformation, and Partnerships. Ogilvy is a WPP company (Nasdaq: WPPGY). For more information, visit http://www.ogilvy.com/, or follow Ogilvy on Twitter at @Ogilvy and on Facebook.com/Ogilvy. Weber Shandwick is a leading global communications and engagement firm in 79 cities across 34 countries, with a network extending to 127 cities in 81 countries. The firm’s diverse team of strategists, analysts, producers, designers, developers and campaign activators has won the most prestigious awards in the world for innovative, creative approaches and impactful work. Weber Shandwick was the only public relations agency included on the Advertising Age Agency A-list in 2014 and 2015 and the only PR firm designated an A-List Agency Standout in 2017. Weber Shandwick was honored as PRWeek’s Global Agency of the Year in 2015, 2016 and 2017, The Holmes Report’s Global Agency of the Year in 2010, 2012, 2014 and 2015 and The Holmes Report’s Global Digital Agency of the Year in 2016. The firm deploys deep expertise across sectors and specialty areas, including consumer marketing, corporate reputation, healthcare, technology, public affairs, financial services, corporate social responsibility, financial communications and crisis management, using proprietary social, digital and analytics methodologies. Alaska Airlines and its regional partners fly 44 million guests a year to more than 115 destinations with an average of 1,200 daily flights across the United States and to Mexico, Canada and Costa Rica. With Alaska and Alaska Global Partners, guests can earn and redeem miles on flights to more than 900 destinations worldwide. Alaska Airlines ranked "Highest in Customer Satisfaction Among Traditional Carriers in North America" in the J.D. Power North America Airline Satisfaction Study for 11 consecutive years from 2008 to 2018. Today, Spotify is the world’s most popular music streaming service with a community of 180m users, including 83m subscribers, across 65 markets. We are the largest driver of revenue to the music business today.